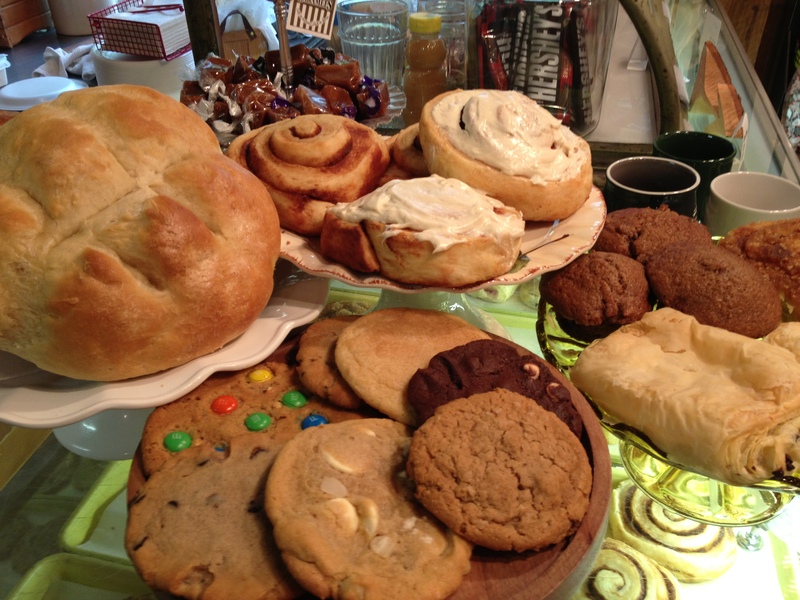 Stop by and check out our freshly baked goods! The delicious, ever-growing menu includes breads, pies, cakes, cupcakes, scones, cookies, turnovers, croissants, and of course, our famous cinnamon rolls! * Items like apple cake made with mountain apples in the fall and holiday stollen using a variation of the owner’s grandmother’s recipe are added to the menu seasonally. Availability varies from day to day, so call the bakery if you are interested in a particular item. The homemade cinnamon rolls are our most popular bakery item. The cinnamon rolls come with or without our delicious maple cream frosting and we have customers who love them both ways. 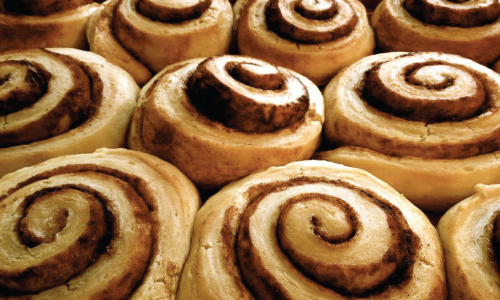 People come from miles around to sample our sweet, soft rolls. We’ve even had people drive for 4 hours just to get one! If you ARE going to drive that far, please give us a call, so we are sure to have some when you arrive! On Saturdays, we have specialty sweet rolls. Featuring seasonal flavors like orange cinnamon, pumpkin spice, lemon blueberry, and caramel apple, these sell out fast, so get here early! We’ve also recently added a cinnamon roll using an organic Italian wheat flour, which most Celiac disease sufferers are able to enjoy. Having a celebration, birthday party, or just need a dozen cookies? Give us a call (at least 24-hours in advance, please) and we can have your order ready for pick-up for your special event!